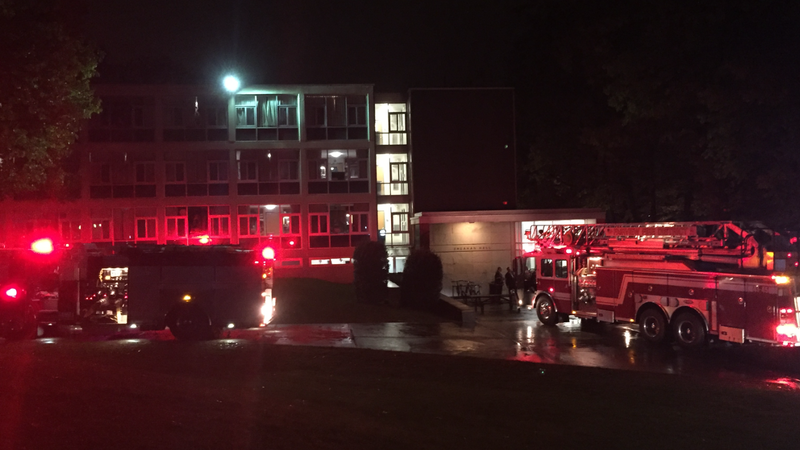 Wednesday night, around 9 pm, a Carbon monoxide detector went off in Sheahan Hall, sending students and employees out of the building and into the rainy night. Faculty directed residents to the student center, while officials investigated the alarm. True to protocol, a firetruck, ambulance and multiple security cars lined up along the walkway between Sheahan and Leo Hall. Their lights and sirens lit up the sky and could be seen from across campus. A crowd of Marist security, firefighters and housing staff gathered outside of their vehicles. Residents of freshman dorms are accustomed to evacuating from their rooms in the middle of the night due to fire alarms and drills. 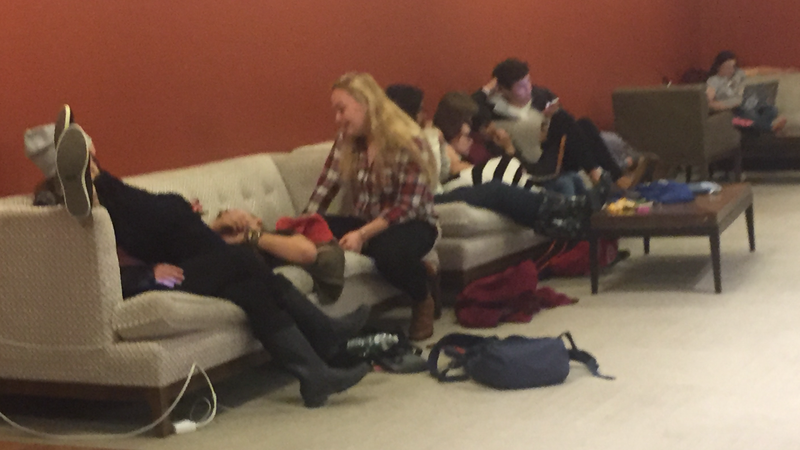 However, Sheahan is usually a quieter dorm, and this was neither a typical drill nor a typical fire. Those in Sheahan at the time were unsure how to react to the unfamiliar alarm. Students only took action once they heard the regular fire alarm a few minutes later. “Then I guess one of the RAs pulled the fire alarm because they knew what was going on,” Mauro explains. While the freshmen in the building may not have known how to react, the residential staff have been trained in case of a similar emergency. “Our protocol is to first get everyone out of the building,” explains Sheahan Residential Assistant Alec Lee, “then we make sure the emergency staff have room to get their vehicles close to the building,” he goes on. The housing employee responded to the incident that night, but is unable to disclose any specific details. Carbon monoxide, often referred to as the “silent killer,” is most dangerous because it can not be easily identified. “The symptoms are so non-specific to toxicity,” explains Michelle Surdan, a nursing student at Mount St. Mary’s in Newburgh. Carbon monoxide poisoning can cause headache, dizziness, nausea and vomiting. “[Symptoms] can resemble the flu and other infections,” says Surdan. On the bright side, towards the end of their night, Sheahan residents got a personal concert from Time Check. The all male acapella group wanted an audience to practice some of their songs, and found that in the evacuated students. 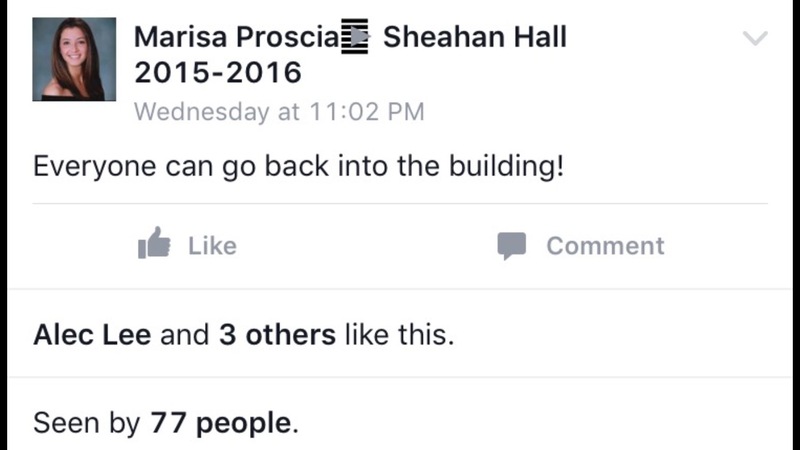 Finally, Residential Assistant Marisa Proscia posted in the Sheahan 2015-2016 Facebook group, directing students back into their dorms. “Everyone can go back into the building,” she posted, at 11:02 pm. Since then, Marist security has yet to release any more information on the results of the investigation. After a few hours in the student center, this facebook post gave students the okay to return to Sheahan. This entry was posted in #Marist, Health and Wellness, Lifestyle, On Campus, Uncategorized and tagged #Marist, evacuation, Freshman. Bookmark the permalink.